Lydia has a broad experience from field reporting in conflict zones to investigations of politics and society and popular family entertainment features. Her journalistic reach and appeal grew outside of national borders quite early in her career due in part to her multi-cultural heritage. It was as a journalist in the daily press that Lydia laid the groundwork for all of her future assignments. In addition to her work with daily newspapers, Lydia has written for weekly and monthly publications.Eventually, Lydia made her debut in both TV and radio. 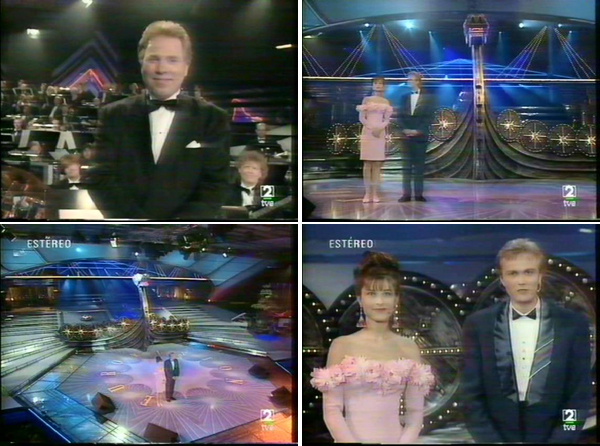 One of her more memorable early assignments contributed to taking Sweden closer to Europe when she hosted the program “Europasvepet” (European Sweep) – a multicultural music and feature program from all of corners of Europe. —It was the first time I clearly and knowingly took a stand in a political question. With my heritage from both Italy and Slovenia, I could not imagine anything except a “Yes to a European Union”…everything else felt wrong, and I wanted to illustrate why. In addition to a long resume of journalistic work, Lydia had the lead role in the film ”Nyfiken EU” (Curious European Union) about a journalist on a mission after the New Europe. Produced and written by the famous writer and filmdirector Vilgot Sjöman. SVT (Swedish National Broadcasting Company) – ”Gomorron Sverige” Anchor and host for the weekly morning show. 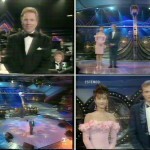 SVT: Eurovision Song Contest - hosting the hugely popular annual event, with a viewing public of over 1 billion people in households across Europe. SVT: ”Rock från Kulturbolaget”- program leader for a live music series that documented the music landscape in the Nordics. TV4: Reporter for “Kalla Fakta” (The Cold Facts), a popular documentary series on TV4 investigating a variety of topics such as racism and illegal business practices. TV8: Anchor and Editor for “Studio 8” produced by TV8, a television channel owned by Modern Times Group in the UK, focused on current affairs, documentaries and drama. TV3: Reporter for the series “Prestanda” on the Viasat owned TV3. Assignment included: flying the Saab fighter jet Viggen, driving a Jeep through the Australian outback, documenting the Vespas homeland of Italy, reporting on the new car turism industry in Mongolia, and investigating transportations consequence for the environment. RADIO CITY: ”Europasvepet” - anchor and producer for live Sunday magazine radio about the European Union.